Algorithmic Trading Strategies: Are There Season Patterns In Stock Markets? Just like with almost everything people do, trading also has a seasonal cycle component to it. Seasonality, while challenging to explain, can be used to a traders advantage. Defined as the repetitive and predictable movement around the trend like, short-, mid-, and long-term traders alike can put seasonality to good use. 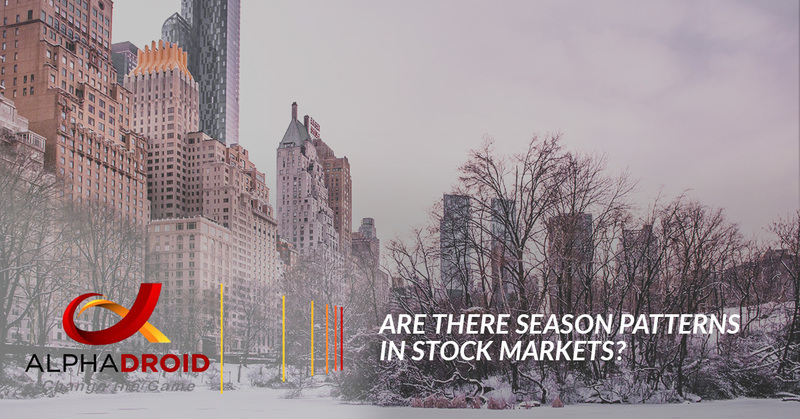 If you have been in the investment game for a while, you have likely heard that most money on the stock market is made in the time frame between November 1 and April 30, also known as winter. On the other hand, the period between May 1 and October 31, or summer, should be avoided. But is this true? Or is it just a legend that originated within the powerhouses of Wall Street? In 2012, two professors from Massey University in Palmerston North, New Zealand, penned two articles on this exact phenomenon: Are Monthly Seasonal Real? A Three Century Perspective and The Halloween Indicator: Everywhere and All The Time. The results, obtained from 319 years of observing 109 countries, cease that the divide between summer and winter is more than real. Below, we created a table that displays the average monthly returns of the market. As you can see, January and December are the two most profitable months of the year. On the opposite side, September and October reveal the worst performance overall. As you can see, winter is — on average — more profitable than the summer season (May 1 – October 31). However, this does not necessarily mean that the market will react the same way each year. Of course, when over 300 years of results are observed, outliers are larger than typically expected. But, the general patterns that have been observed throughout the centuries, can reveal a lot about the nature of seasonal market fluctuations, giving investors and traders the advantage. What does this mean? A trader with a bullish-behavior may find it beneficial to trader during the month with a higher average return, such as December, April, and January. For a bearish trader, it may be wise to open a short position during months such as July, September and October. That said, no trader is guaranteed success when following market seasonal patterns. Of course, the success of traders will significantly depend on your trading strategy. Not to mention, using an algo trading strategy can be even more beneficial. With AlphaDroid, a premium algorithmic trading platform, traders AlphaDroid uses various algorithmic trading strategies to help predict the market by following trends, helping traders reduce risk and promote higher returns.